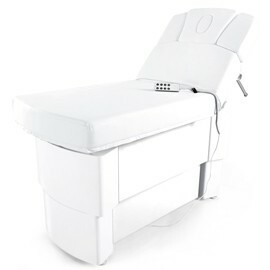 Sophie SPA couch is an exclusive massage unit meant for health- and Medical SPA & Wellness centres. It is a combination of elegant design and versatility which are the results of detailed construction and electrical operation. The patient can be easily put in the appropriate position and the treatment is very comfortable, as the 7-section exam surface is covered with a multi-layer, soft padding.